I have always had dry skin, that’s just my skin type. Some have oily, others have combination, I have dry. 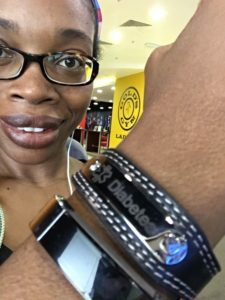 However, I never thought about how my skin might be drier because of diabetes, I simply thought it could be the harsher water or age or me not drinking enough water. But, after trying some of TriDerma products, I realize that it could be all of the above. My attempts to keep my skin moisturized has consisted of applying baby oil immediately after showering, then drying off, then applying lotion. I’ve used lotion with shea butter, lotion creams, sweet-smelling Bath&Body Works, inexpensive lotions, and even concoctions I’ve made. But, nothing seems to last all day. I was asked to give TriDerma a try and I did. 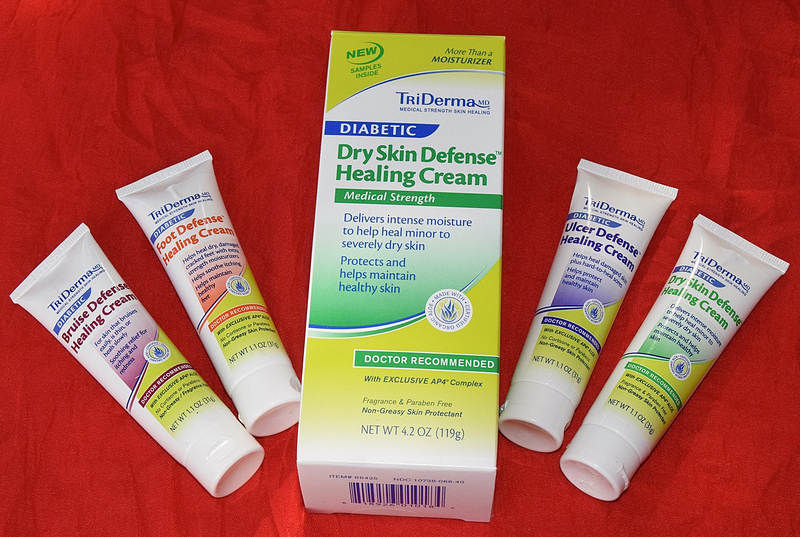 Of TriDerma’s Diabetes Defense Line, I was most excited about the Dry Skin Defense Healing Cream. But to my surprise, I was most impressed by the Foot Defense Healing Cream. It wasn’t greasy or thick, but worked well. It’s a cream-like lotion. Perfect for everyday use. It’s unscented and I like my lotion to have a scent. They need to change the name of this cream to “Foot Revival: The product you’ve waited for all your life!” I was SO impressed by this, I wanted to put it on my whole body. Texture: It’s not cream like, it’s looks more like Vaseline, but it does not have that thick greasy feeling like Vaseline. (A major plus factor) Anyone with cracked heels understands that there comes a point when the only thing that can penetrate that heel skin is Vaseline. Well, now there is something even better. It works well on those elbows too. Scent: a hint of aloe. Spreadability: (yes, I create new words as a hobby) A little does go a long way. MY LEFT FOOT: After drying from the shower and as you can see it’s ashy! MY RIGHT FOOT: I applied Foot Defense Healing Cream. Now you can see why I call it “Foot Revival.” It is smooth and lasted the entire day. I love my scents, if they would make this product in a scented version maybe a Minty Mango or a Peach Peppermint, it would be better than awesome. I think that tingling sensation given by mint or eucalyptus would be a nice touch for us diabetics (especially those with nerve damage). 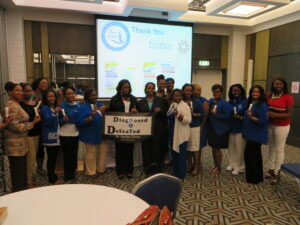 The people at TriDerma were also nice enough to send samples for my guests at the forum I did on World Diabetes Day. In the picture below, a few participants are seen here holding up the samples. My conclusion about TriDerma products. 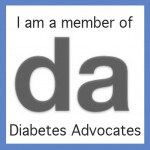 I am honored to review their Diabetes Defense Healing Creams. Each lotion is targeted for a particular purpose. I have been applying the Bruise Defense Healing Cream on my hands where I had a small bruise. As you know, we heal slower than non-diabetics, so I think this is a good cream to have in the house at all times. I didn’t try the Ulcer Defense Healing Cream because I don’t have any ulcers. The Dry Skin Defense Healing Cream is a great all over cream. It cut down on my need to use oil AND lotion. 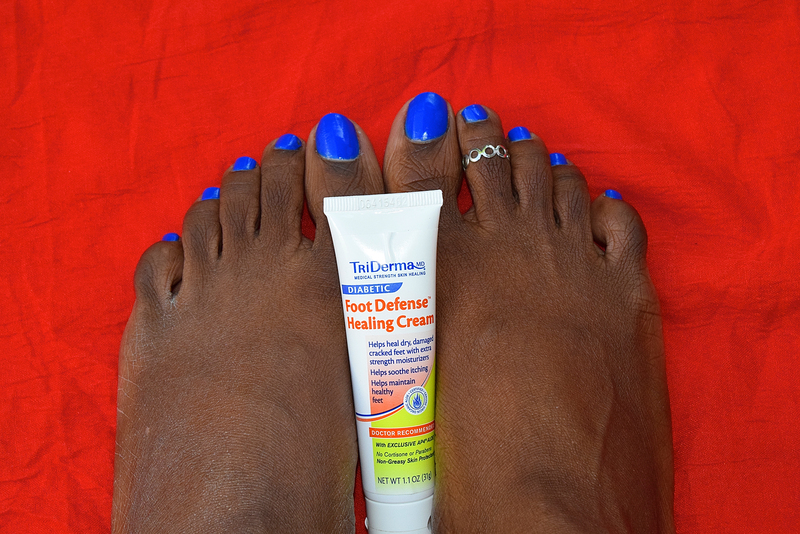 The Foot Defense Healing Cream is the BEST CREAM I HAVE EVER USED. It actually lasted all day. I am telling you, they need to change the name to Foot Revival because it gave my feet a renewed shine. If you would like to purchase for yourself or a loved one, CLICK THIS LINK. *I received the products for review, but I did not receive any money for this review. This is my honest opinion of their products. 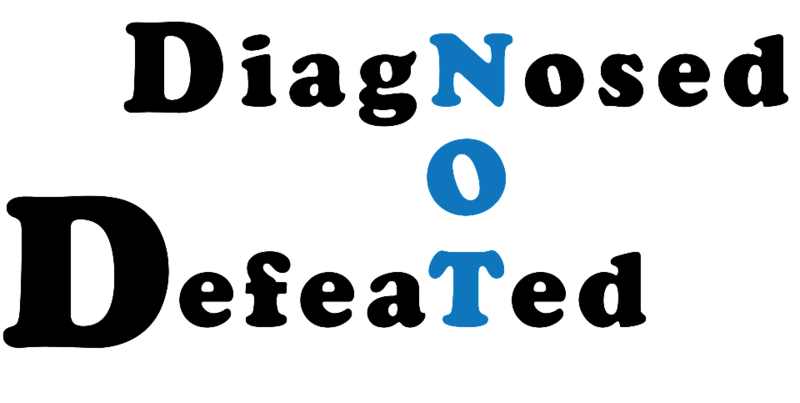 I came across your site from an article by David Mendosa. 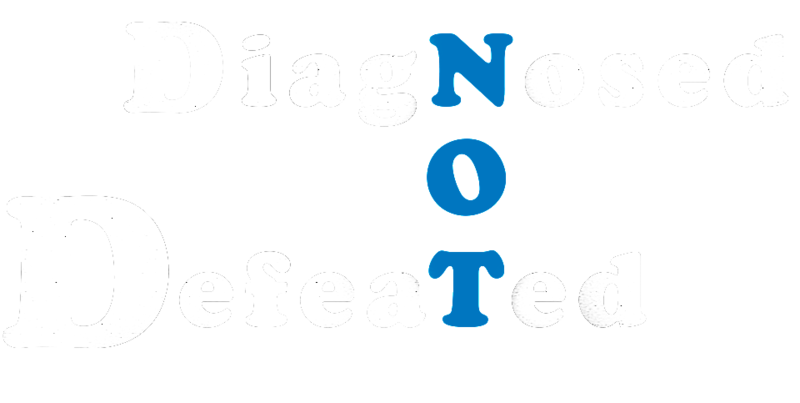 I clicked on it because I liked your slogan “Diagnosed, bot not Defeated” because that’s exactly how I feel ! Enjoyed your review on the creams, but would like to bring another view for consideration regarding “scents” in creams. I have horrible allergies and unfortunately, can only buy unscented products for the most part, including household products. I don’t even wear perfume because it triggers migraines. For me, and others like me, it is difficult at best because so many products are scented. An unscented product is a plus for me. Wish more manufacturers would consider that. That makes complete sense, I didn’t even think about how people with allergies.